Are you hungry or something Pixie???? Awww how cute! My “Newman” loves sticking his head in bags too. So cute! I have a black cat, ans she’s definitely the mot vivacious of my bunch. Just love cats (and dogs, for that matter)… so playful and curious! 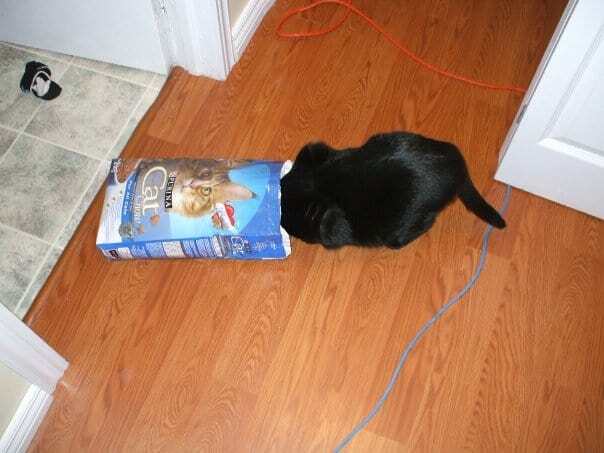 If my head fit inside of boxes of food, I would probably do the same thing. I actually have a male black cat named Blackjack who would conduct himself in precisely this manner…he’s something of a fatty at 20 pounds, lmao!